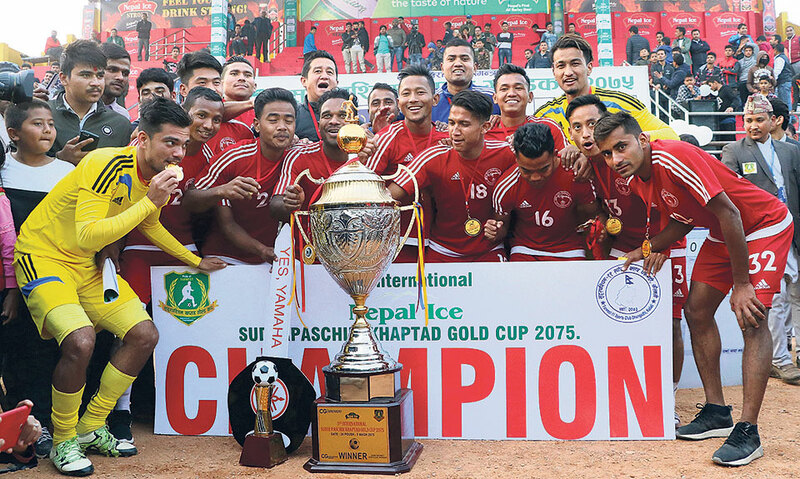 DHANGADHI, Jan 20: The departmental team Nepal Police Club has clinched the third International Invitational Khaptad Gold Cup football tournament with 1-0 win over A-Division League opponent Three Star Club in Dhangadhi on Saturday. 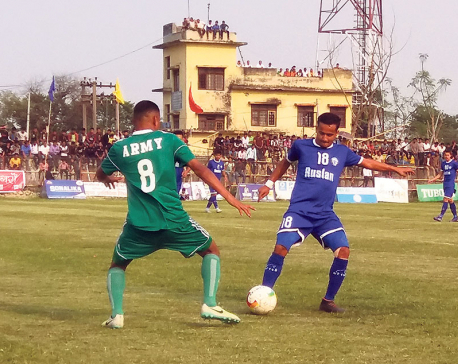 In a competitive final match played at the Dhangadhi Stadium, Kailali, Three Star kept Police under pressure throughout the match, but could not capitalize on the chances it created. 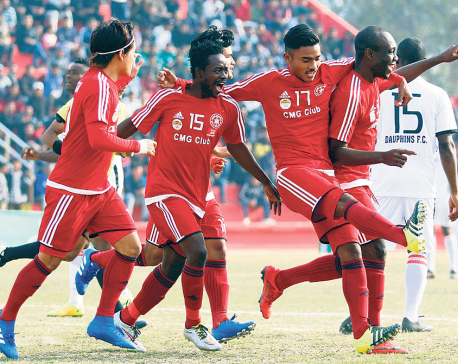 Three Star’s Ranjan Bista and captain Bikram Lama threw away chances in the first half, while defender Ananta Tamang’s powerful header went wide. Police, who played defensive football in the first half, slowly started to attack more near the end of the first period. Police also got some chances to score, but two shots from Ravi Paswan went wide as well. As both the teams threw away chances to score, the first half ended goalless. Despite playing better football, Three Star went on to lose the game failing to convert the chances. Police took the lead in the 64th minute through Abhishek Rijal to seal the win for the departmental team. He converted a corner from Nir Kumar Rai beautifully to stun Three Star. Rijal was named the man of the match for his goal, and was rewarded with Rs 10,000. With the win, Police took home a cash prize of Rs 2.11 million, while the runner-up Three Star got Rs 1.1 million. Police dominated in the individual category as well. Police’s Ravi Paswan was named the best player of the tournament and was given a Yamaha bike. Ananta Raj Thapa, Ajit Bhandari and Shatrudhan Chaudhary of Police won the best coach, the best defender and the best goalkeeper awards respectively. Likewise, Three Star’s Bikram Lama won the best midfielder award, while Far-Western XI’s Bharat Tamata got the prize for the rising talent. Police’s Tirtha Rana, who scored three goals in the tournament, won the highest goal scorer award. They all got Rs 15,000 each.